Terry Thurston Hill, Mt. Chase, ME, grew up on a family farm enjoying the Maine outdoors. 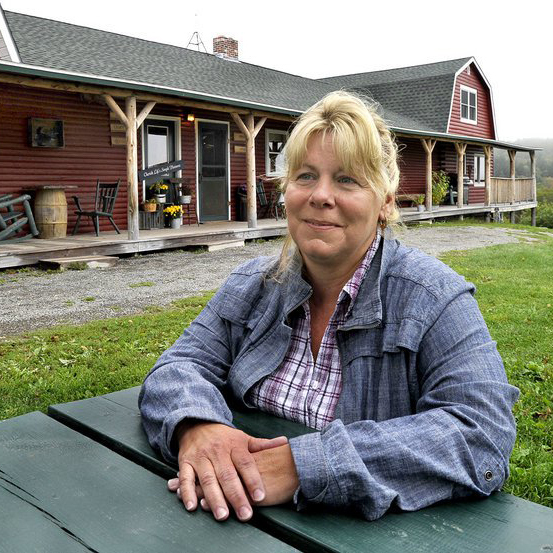 For the past 30 years, she and her husband, Craig, have owned and operated their family business, Shin Pond Village, that provides four season lodging, food, supplies and equipment rentals to a wide variety of outdoor recreationists, including hunters, fishermen, hikers, paddlers, snowmobilers, and cross-country skiers. During this time she has shown her passion for the Katahdin region with her volunteer efforts involving local Boy Scouts, area schools, Mt. Chase Fire Department, a local Chamber of Commerce, and the Maine Snowmobile Advisory Council. She currently serves on Katahdin Tourism Partnership group.